Vitamin D can slow or even shrink prostate cancers. A recent study followed a series of men who had been diagnosed with localized prostate cancer. 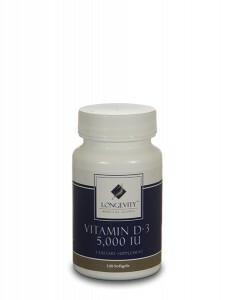 One half of the men were given 4000 units of vitamin D daily for a year and the other half were not. At the end of the year, 55% of the group that received the vitamin D had less prostate cancer found on their biopsies.In the group that did not receive the vitamin D, 65% of the men were found to have increased amounts of prostate cancer in their biopsies.